Fiat India has launched an all new Fiat Cafe website well ahead of its inauguration to take place in January, next year. To speak of what Fiat Cafe offers, it is more like any other cafeteria, but in Fiat’s style, where the Fiat car fans can enjoy a hot cup of authentic Italian coffee over their light banter. What more, the space is allotted exclusively for Fiat cars’ display unshared, without an intervention from a third party. Right here in the car lounge, the prospective consumers can get all the details of the Fiat cars, hot new deals offered at the moment along with the most up-to-date information on Fiat including the dealer locations. Not just this, the cafe can conviniently turn out to be a venue to host the various exciting events announced specifically by Fiat. A wide range of other products like T-shirts, perfumes and some other stuff are also on the offer to get the customers hooked up to scenic set up. Fiat India will have its cafes introduced in two prime locations in New Delhi and Pune to begin with. However, the auto giant will decide on to what to make of it, in terms of further expansion into other cities based on the customer response. Looks like, Fiat has headed in the right direction after all. Fiat’s presence in the country is not something new. But, the Fiat cars haven’ t done particularly well. The Fiat’ s entire line up including the Fiat Linea sedan, Fiat Punto or Fiat Palio have just managed to get nothing above the lukewarm response. However, there is this joint dealership program with Tata Motor which has gone very sour. The sales men at the Tata sales outlets didn’t quite make things work in favour of the Italian car manufacturer. However, Fiat India now seems to have made the decision. 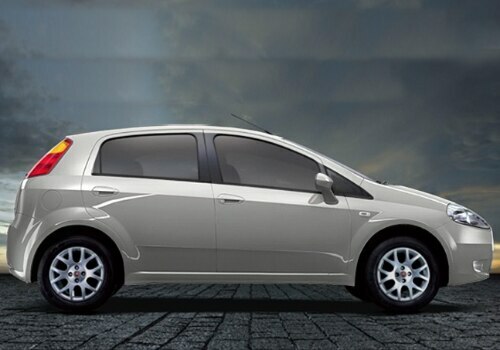 Fiat India has pretty exciting things going on at the moment for 2012. The revamped versions of the Fiat Linea and Fiat Punto will be launched on January 3rd. Actually, this also came as quite a bit of surprise, when the Italian car manufacturer decided to drop out of the Auto Expo and have its own way with the new Fiat Linea and Punto launch. Enhancing its exclusive sales and service outlets is the other thing on the top of the priority list.